After listening to the MOT trade's feedback we’re replacing MOT tester refresher training with a new model of annual training and assessment. Over the past few years, MOT testers and garage owners told us how they'd like to see ‘more frequent, modular training’ put in place to help maintain their testing status. 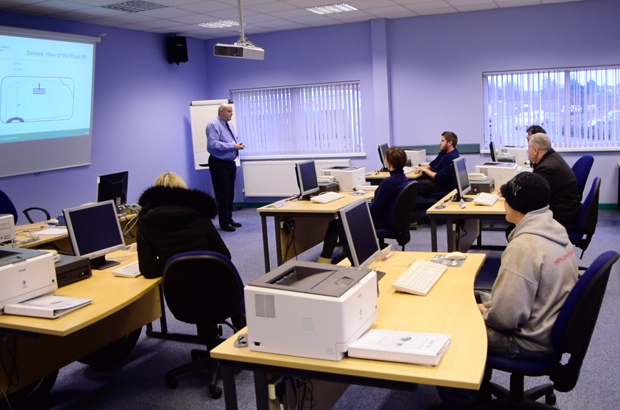 So from April 2016 we’ll replace the old 5-year refresher course with a new programme of annual MOT training. This new annual training will follow the continuing professional development (CPD) model allowing you to update your skills each year in manageable ‘bite-sized’ chunks. The updated CPD approach will provide you with a way of refreshing your testing knowledge in way which suits you and your business over the course of a calendar year. 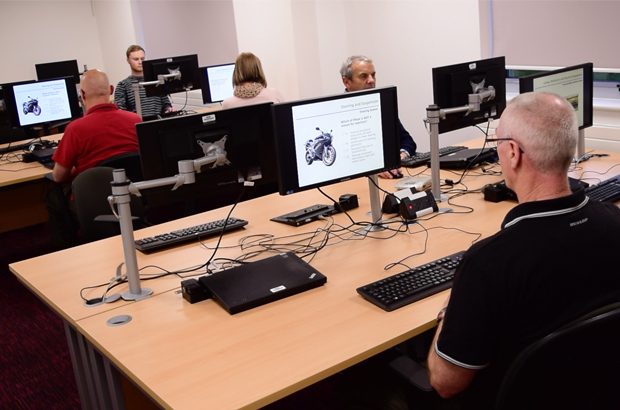 So in order to keep on testing, instead of taking refresher training once every 5 years, we’ll be asking you to complete at least 3 hours of MOT-based training every year, followed by an assessment. We’ll publish an annual training course outline based on the latest MOT test error rates with subject areas which we know the MOT trade needs to pay more attention to. This means all the training you undertake will be targeted to make sure you’re reading up on and practising skills which are the most relevant to today’s MOT industry. In return, you can be sure your training will help to make a real contribution to the overall safety of vehicles on our roads. As the name of the training suggest, you’ll need to carry out and complete your MOT annual training every year between the start of April and the following March. Along the way you’ll also be responsible for recording your training and then, when you’ve completed at least 3 hours, booking a final ‘reauthorisation’ assessment which you’ll need to pass to maintain your tester status. The CPD model allows you the flexibility to mix and match your training methods based on what best suits your individual needs and requirements. For example, if you like working on your own you can decide to simply read up on the relevant skills outlined in the published syllabus and take the assessment when you feel ready. Or, you could team up with some colleagues and run a question and answer or practical session to brush up on your skills. Alternatively, you could pay the market rate for a professional training company to take you through what you need to know ahead of sitting the annual assessment. Everything you need to know about how the new annual training will work and what you need to do is available in our take MOT tester annual training and assessments guidance. There’s no need to worry - most testers already spend more than 3 hours each year updating their MOT knowledge, so the new annual training should be easy to manage. Can you do your training separately as an individual when your garage is using an external training company to do group training. eg, group of testers at garage do training and test through appointed external company and one tester doe's his own training, online test and records it himself? Yes I agree this new method of training is a cheap way of dvsa not getting too involved! I prefer the old method of a once every five year course! Like a comment on here you can easily cheat what are they thinking of! It's some one sitting behind a desk with not a clue how we as testers work in the real world! And then to say if we don't pass the test we can't carry one testing how dare they! Wake up you lot! Just taken my annual assessment and passed (80%) but personally, this whole idea of CPD and annual assessment is just a cop out that costs us and saves the DVSA money. When you went on a refresher course, you had to provide I.D. to prove it is YOU doing the training. With this new system, you just record what you need to have done on a CPD register. Easily fakeable. Then you take the online assessment. Again, easily fakeable as you could get ANYONE to take the test for you or have half a dozen other testers standing behind you giving you the answers. For the test to be meaningful. It should be run along the same lines of the driving theory test - you should go to a registered centre, provide I.D. and then take the test under exam conditions. Standards are surely going to slip under this new annual assessment method. Well done DVSA - you've saved yourself a shed load of money and lowered testing standards in one go. The idiot that thought this up should be sacked but I bet he's been given a pat on the back! I believe that on going training is the way forward. It should however be done in a question and multiple answer form on a weekly or bi weekly system. this could be in the form of a quiz as they do on facebook, to be completed before logging on to a test. I think the training part is fine because its something we do anyway looking up things in the manual.the.The testing is a bit much maybe a test every two or three years would be more acceptable to everyone. This is an open book test so you can look up the answer in the inspection manual & special notices just the same as we did on refresher training just like we are not sure of something on doing an mot test we look in the testing manual to help come to a decision on pass fail or pass and advice so dont worry just sit down and take the test. will all this change now we are leaving europe ? I have been testing since September 1996, never once had a bad mark against me. Looks like my last testing day will be March 2017 as I no longer have the will or patience to deal with the idiots making up this rubbish. I wonder how many others will throw in the towel. Sort this out or face the consequences. Only two mot testers at our garage and we have been told by our employer to do it all in our own time at home and pay for it ourselves. Has anyone else been told to do this? I for one will not be paying for the courses, you can have my licence back!! Im sick of all the changes. This is just another way for the government to save and make money, there not bothered about safety..
is there anywhere to record your training yet? this seems a great idea! no more days off work travelling to vosa[dvsa] training sites. do it online as you please, record it in a diary. £35 for an abc awards test online 50% pass rate, what could be easier. even leaving a comment on here classes as part on you CPD. think about , your learning as you go.